God's unchained is something I wrote about a while ago, so I thought I would give an update. https://godsunchained.com/ is a new Ethereum based card game where you will be able to compete against other players for weekly rewards as well as the world championship which is scheduled to take place sometime in late Q1 of this year. The world championship tournament prize pool is current set at $407,000 according to their website and they plan to reach their tournament goal of $1.6 million. 10% of all card pack sales are going directly to the world championships, so the prize pool is probably going to continue to grow over the next few months. More details can be found in the FAQ section of their website, but currently all the tickets to be able to enter the world championships are already sold out unless you buy a ticket from another player with a legendary pack of cards. God's unchained is a strategy based card game where you first need to buy a deck of cards and then you will be able to compete head to head against other players. The God's unchained cards allow for decentralized ownership, so the cards are truly yours. The game play is going to be fast and each time you play a card there is going to be some sort of sound effect and animation to go along with it. This is what some of the cards look like when you visit their website. There are different types of cards available to buy including rare packs of cards, epic, legendary, and shiny legendary (they just look better than legendary cards). I think you need about 30 cards to play, so this isn't going to be a simple game where you just play whatever card you're holding, there is a lot of strategy involved. 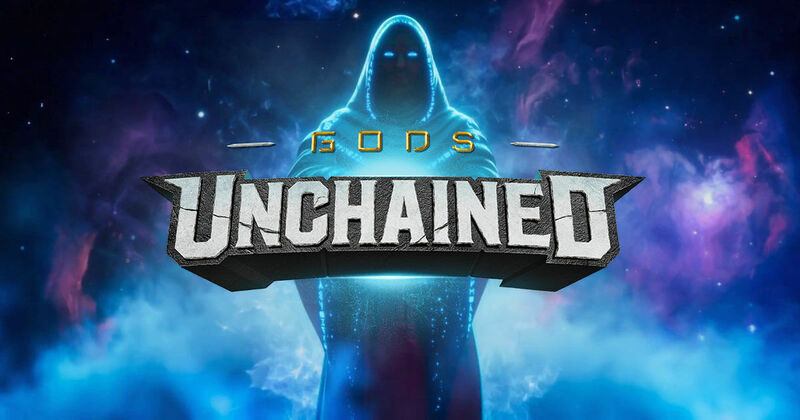 God's unchained has recently been holding their closed beta of 300 players and they plan to launch the full version of their game sometime in Q1 of 2019. When you glance at their roadmap they also have plans to make God's unchained VR compatible as well. I haven't played much Steem monsters yet, but I look forward to playing both of these games. You will need to have Metamask, Nifty, or Trust Wallet. The game development is progressing well. Even if they don't reach their $1.6 million goal it's still a large enough number to get people interested. Ok, that's cool too. Keep playing Steem Monsters! I just want to know if i can sell them. If the cards can be sold and money made im interested. Id rather support Steem Monsters then this but if i can get something out of it im definitely interested. Thx for a heads up. How much eth will cost, more and less, to have a beginner deck? Interesting, why does it take them so long to launch this game ? Could the ETH Blockchain support 100k players ? Yes, ETH can support it. But maybe not without crashing right now...They are making progress, check their Roadmap. I don't think it will be more than a month or 2 before they get the game live.